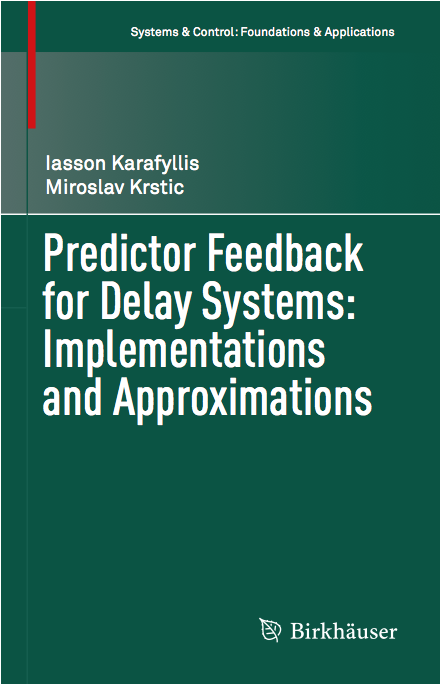 This monograph bridges the gap between the nonlinear predictor as a concept and as a practical tool, presenting a complete theory of the application of predictor feedback to time-invariant, uncertain systems with constant input delays and/or measurement delays. It supplies several methods for generating the necessary real-time solutions to the systems’ nonlinear differential equations, which the authors refer to as approximate predictors. Predictor feedback for linear time-invariant (LTI) systems is presented in Part I to provide a solid foundation on the necessary concepts, as LTI systems pose fewer technical difficulties than nonlinear systems. Part II extends all of the concepts to nonlinear time-invariant systems. Finally, Part III explores extensions of predictor feedback to systems described by integral delay equations and to discrete-time systems. The book’s core is the design of control and observer algorithms with which global stabilization, guaranteed in the previous literature with idealized (but non-implementable) predictors, is preserved with approximate predictors developed in the book. An applications-driven engineer will find a large number of explicit formulae, which are given throughout the book to assist in the application of the theory to a variety of control problems. A mathematician will find sophisticated new proof techniques, which are developed for the purpose of providing global stability guarantees for the nonlinear infinite-dimensional delay system under feedback laws employing practically implementable approximate predictors. Researchers working on global stabilization problems for time-delay systems will find this monograph to be a helpful summary of the state of the art, while graduate students in the broad field of systems and control will advance their skills in nonlinear control design and the analysis of nonlinear delay systems.